The stock dipped 9 per cent to Rs 6,420, its lowest level since April 28, 2017, after reported 17.2 per cent year-on-year decline in net profit at Rs 1,489 crore in December quarter. 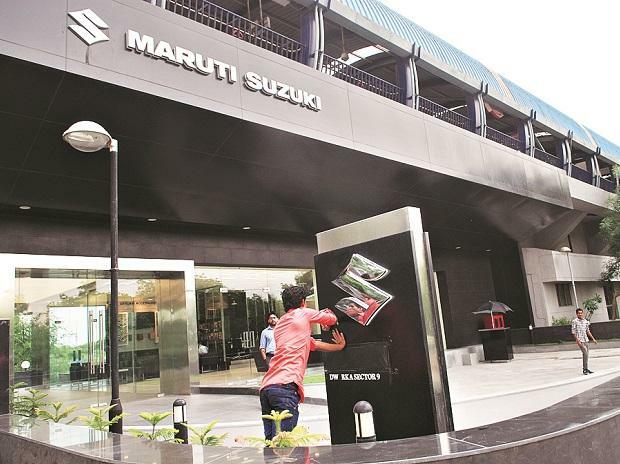 Shares of Maruti Suzuki India slipped 9 per cent to Rs 6,420 on the BSE, hitting their 21-month low in intra-day trade on Friday, after the company reported 17.2 per cent year-on-year (YoY) decline in net profit at Rs 1,489 crore in December quarter (Q3FY19). Net sales during the quarter under review remained flat at Rs 18,926 crore over the previous year quarter. The stock was trading at its lowest level since April 28, 2017. Analysts on an average had expected profit of Rs 1,604 crore on net sales of Rs 19,596 crore for the quarter. The company said the net profit during the quarter was impacted due to adverse commodity prices, foreign exchange rates, higher marketing & sales expenditure and higher costs in resources and capacities which were earlier planned to enable a higher estimated growth. The higher depreciation expense due to introduction of new models and new engine also dented the profit growth. The passenger vehicle exports from India also declined by 8.5 per cent owing to weakness in global markets, protection in some markets and devaluation of most currencies with respect to the US Dollar, it added. EBITDA (earnings before interest, tax, depreciation and amortization) margin declined to 10.2 per cent in Q3FY19 from 15.8 per cent in Q3FY18. The brokerage firms had expected EBITDA margin in the range of 13.1 per cent to 13.5 per cent for the quarter. A poor festival season, rising inventories and reduced FY19 sales volume guidance for Maruti make us a cautious for near term leading to an underweight on the stock, analyst at Prabhudas Lilladher said in earning preview. At 03:09 pm; Maruti Suzuki India was trading 7 per cent lower at Rs 6,525 on the BSE, as compared to 0.48 per cent decline in the S&P BSE Sensex. The trading volumes on the counter jumped over four-fold with a combined 2.76 million equity shares changed hands on the BSE and NSE so far.